Wizards may wield studied spells and clerics pray to the gods themselves, but witchcraft—wild, untamed, perilous—is the magic of the common folk, with all the desperation and danger that implies. 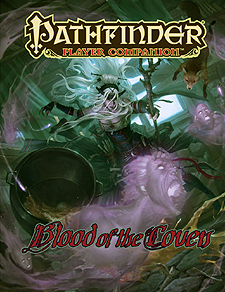 Embodied by hags and their half-blood daughters, changelings, witchcraft has always been one of the broadest, most potent, and most misunderstood forces of magic...until now. Learn the dark rituals and curses witchcraft empowers, and the good it stands to do in the world as well.